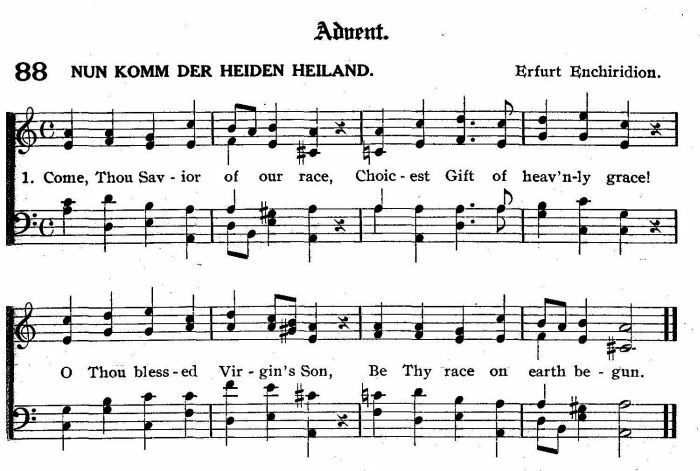 Translated into German by Martin Luther, "Nun komm, der Heiden Heiland"
Choicest Gift of heav'nly grace! Be Thy race on earth begun. Truly man to be believed. High the song of triumph swell. 6. Brightly doth Thy manger shine!